A large percentage of the UK commercial vehicle fleet is used to transport goods that need to be kept refrigerated or at a constantly controlled temperature, like foodstuffs and pharmaceutical’s. For these cool chain operators, the COOL zone at the CV Show is top of the visit list. 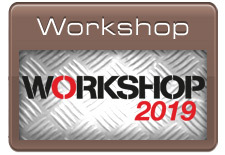 Showcased in COOL is a massive range of refrigerated vehicles and bodywork, plus the latest fridge units and systems, monitoring equipment and many other products and services designed for cool chain operations. 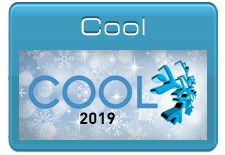 COOL 2019 has its own logo and identity and will again be positioned between the visitor entrances to NEC halls 3a and 4, therefore benefiting from high footfall from both sides. Meticulous floor planning ensures visitors can easily find the companies, products and services they are looking for. Exhibitors with stands in the COOL zone at this year’s Show reported good business and we are delighted that buyers and specifiers from virtually every major cool chain operator were in attendance. Undoubtedly, COOL at the CV Show has become the annual UK meeting place for the frozen and chilled transport and distribution business.